Adpower has recently sold Perkins 300 KVA Sound proof generator(PM300C) to a customer in Maputo Mozambique. Powered by Perkins 1606A-E93TAG5 engine and Meccalte ECO38-2LN/4 . This generator has Deepsea 7320 controller which has built in AMF function. 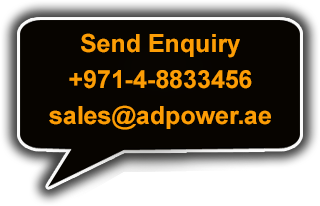 Adpower has also supplied Original Perkins 7092312C1 Oil filter and 1878042C92 Fuel filter. This generator was supplied with international warranty and Perkins distributor in Mozambique will provide warranty for this engine. Perkins has recently introduced 1606A-E93TAG5 engine which is made in Perkins US Factory. Adpower is among first few Perkins distributors who has sold such engine in Africa. Adpower has sold Perkins 80 KVA Sound proof generator(PM80C) to M/s Automotive Equipment LTD in Lusaka Zambia. Powered by Perkins 1104A-44T engine and Linz PRO22S C/4 alternator . This generator has Deepsea 6010 controller which has built in AMF function. This generator was supplied with international warranty and Perkins distributor in Zambia will provide warranty for this engine. Perkins is known to be the designer for durable, multipurpose and environmentally friendly diesel generators. It is a guarantee that Perkins will meet all your generator requirements when it comes to sizes and functionality. The products manufactured by Perkins are always star rated and depict a clear-cut proficiency in the quality and durability of the generator. If you were to compare the generators of other companies with Perkins, you would realize the difference in the making and the fact that Perkins manages to give a period of warranty on all their products. Now, even if there is a manufacturing defect in any of the generators you purchase, which is very unlikely, Perkins diesel generator will be willing to replace it or repair without costing you anything at all. Every generator, whether large or small, would be able to give you excellent solutions in times of power failure and represents years of experience in the making of generators. Therefore, one can easily conclude that Perkins is a company that is reliable in terms of their products and gives the consumer an excellent standard of electrical appliances and generators so that they don’t face any kind of inconvenience during frequent power outages.